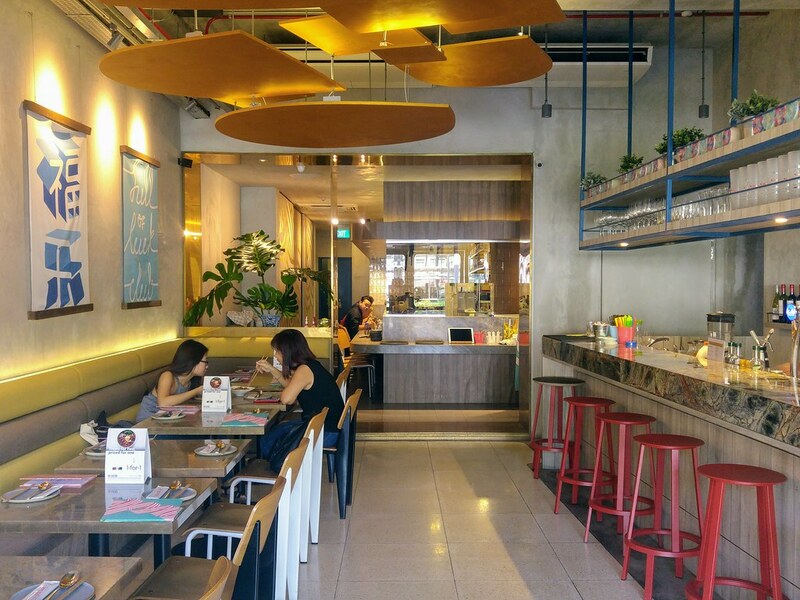 Full of Luck Club at Holland Village is a modern Cantonese restaurant that subverts the traditional style of Chinese dining. Hues and pastel colours set for a cheerful and jazzy mood, aligning with its hip Cantonese bites and beverages. With that direction in mind, it has launched new selections of Chinese baos, beverages and items from its Signature and Prestigious set menus. I ditched my usual cup of Chinese tea and opted for its Green Tea Macchiato ($12) to go with the dishes. To fully appreciate tea macchiato, one is advised to sip the tea directly from the glass instead of using a draw. That allows the respective layer to greet your taste buds individually before harmonising each other. Mine is a simple concoction of Emperor's tea infused with gin, tea, milk foam. 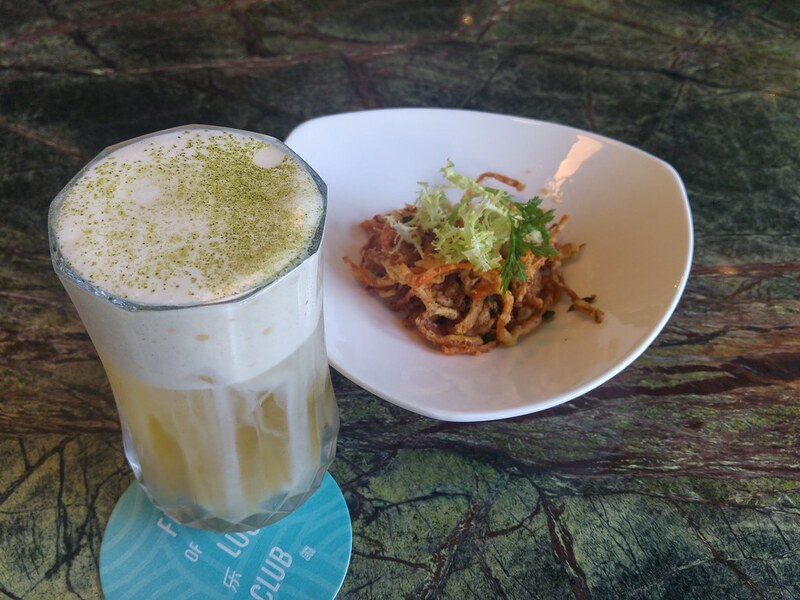 This macchiato tea series is inspired by Taiwanese beverages. Though the drinks are quite creative especially when I like tea cocktails, I don't quite see how this gel with the theme. The Bao series is one of the most popular items here especially back when modern mantou was on the roll last year. The bao here have taken on a slider form, so that diners get to try more flavours. Huat Huat Fried Chicken Bao ($3.50) is the latest creation. I thought it looks really adorable, like a puffed-up fried chicken burger. 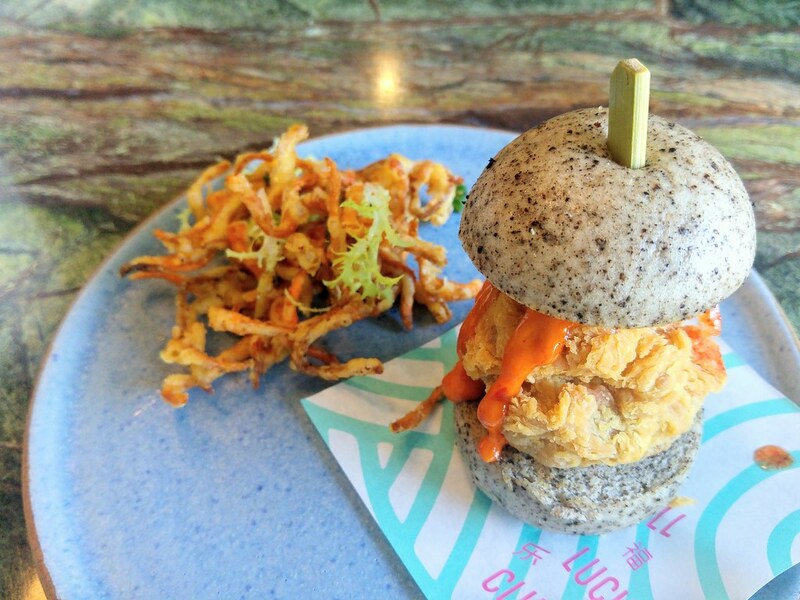 The kimchi sauce really gives this bao a strong identity with its robust flavour. The fried chicken was tender and moist with just a thin deep fried crust. Flowers Of Life ($7.50) is a light bite with a TCM twist. 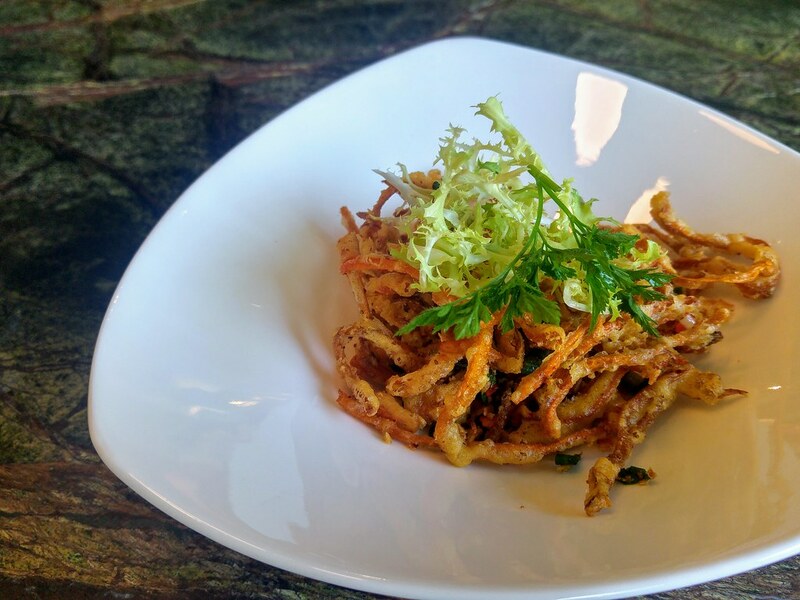 These fried cordycep flowers are made moreish with house made seasonings. The most common substitutes would be enoki or mushroom fries hence I find this quite a brilliant dish. The taste is right and it suits the oriental theme too. Roast meats is a quintessential Cantonese dish and is usually the star of the restaurant. 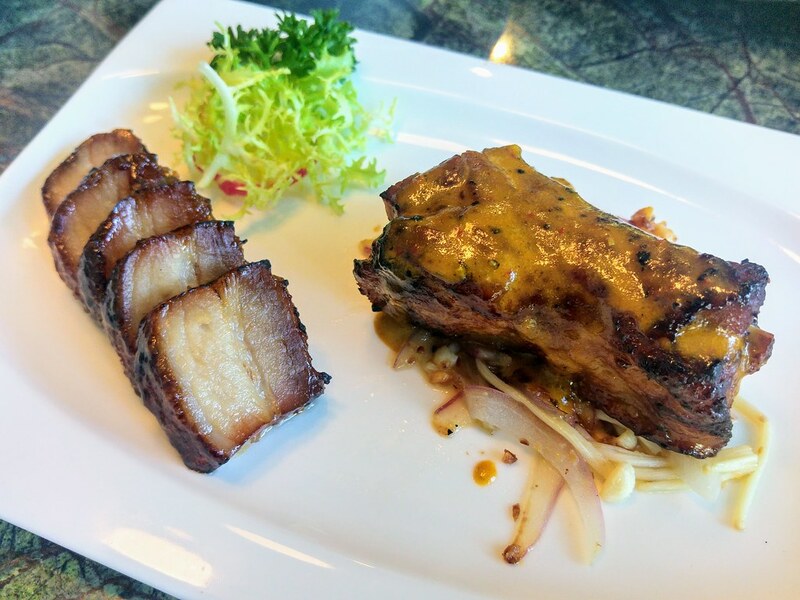 Both its Chef's Signature Honey Glazed Char Siew ($14) and Genghis Khan Premium Pork Rib ($18) are refine and rather exquisite in taste. The char siew came with a glistening sugar armour. It had a balance of meat and fats, neatly sealed up by a layer of caramelised sugar which bring the flavours together as it melted away in my mouth. As for the pork rib, although I'm not familiar with Mongolian sauce, this mildly spicy sauce did jazz up the pork rib quite a bit. 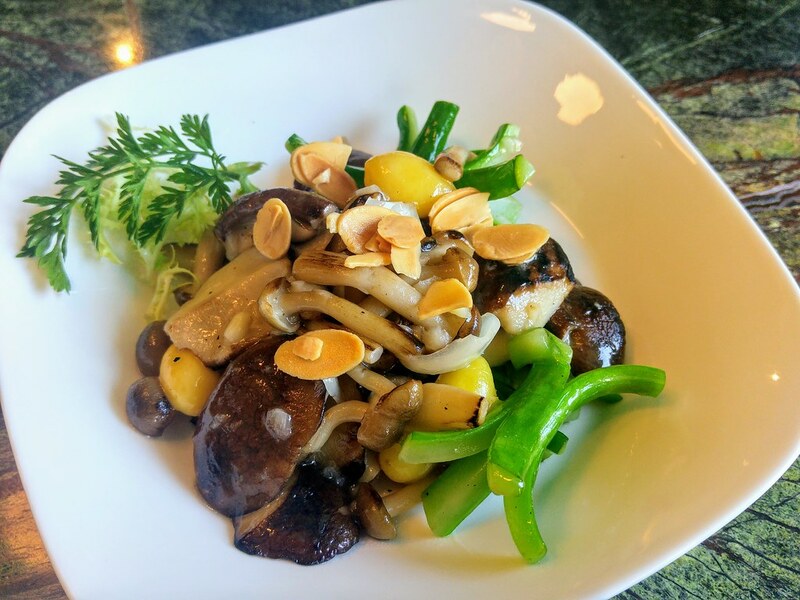 Balance your meal with a plate of its nourishing Crunchy Medley of Vegetables with Lilybulb ($12). I love ginko and it's rather rare to find them in a savoury dish. For stir fried dishes, wok hei is like your umami that adds dimension to the flavour but that comes only when the chefs are highly skilled. And indeed they are in here. The same goes for its Yuan Yang Hor Fun ($16). The wok hei is very pronounced in the stir fried hor fun. The fried hor fun atop gave the dish its crunchiness, along with a good portion of fish slices, leafy greens and beansprouts. 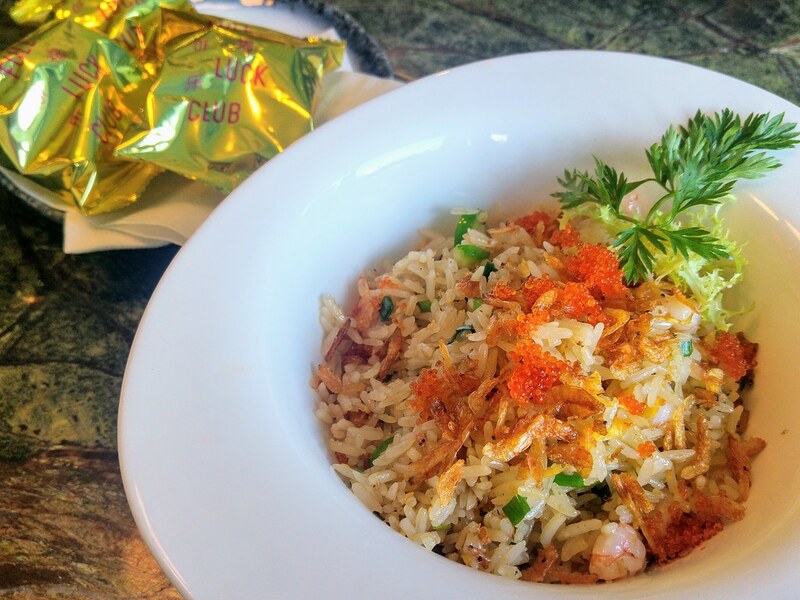 I enjoyed the Sakura Ebi Fried Rice ($14) a lot. Each grain is neatly separated, loaded with crunchy cubed fresh prawns. Both sakura ebi and tobiko can be quite salty but as there's minimum seasoning in the fried rice, both flavoured the rice just right. For desserts, I was hoping for some good Cantonese homemade desserts. 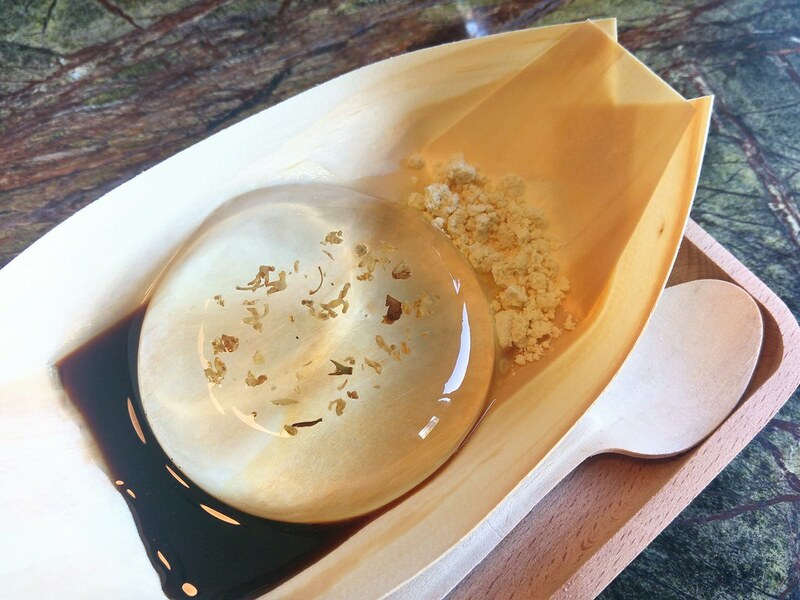 However, since this is a modern Cantonese place, you will get desserts such as my Osmanthus Raindrop Cake. I thought it is rather blend and a waste of effort. Perhaps, traditional Cantonese desserts may still be the team's forte. 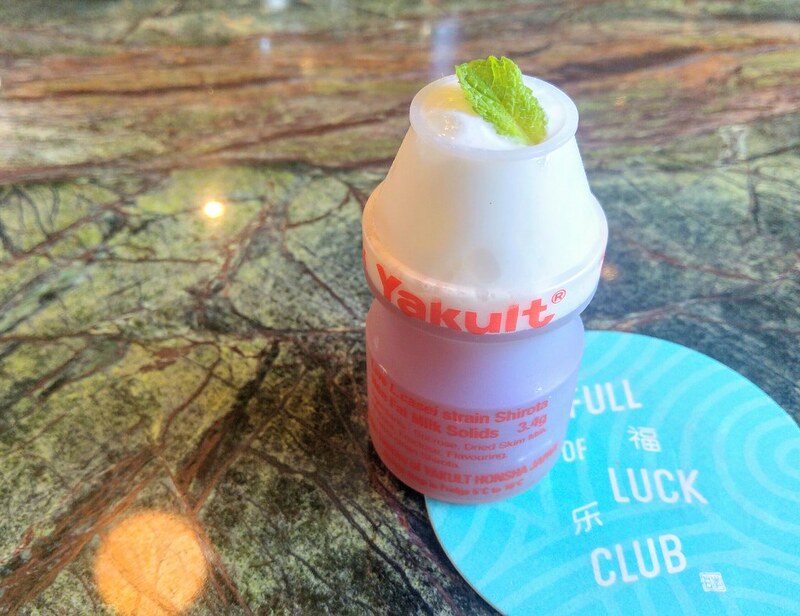 Ended the meal with a Prosperity Shooter ($16 for 2) which is supposed to aid digestion with its mint infused vodka, fermented pineapple, basil and yakult foam. I love it! It may be a bit strong but very refreshing. 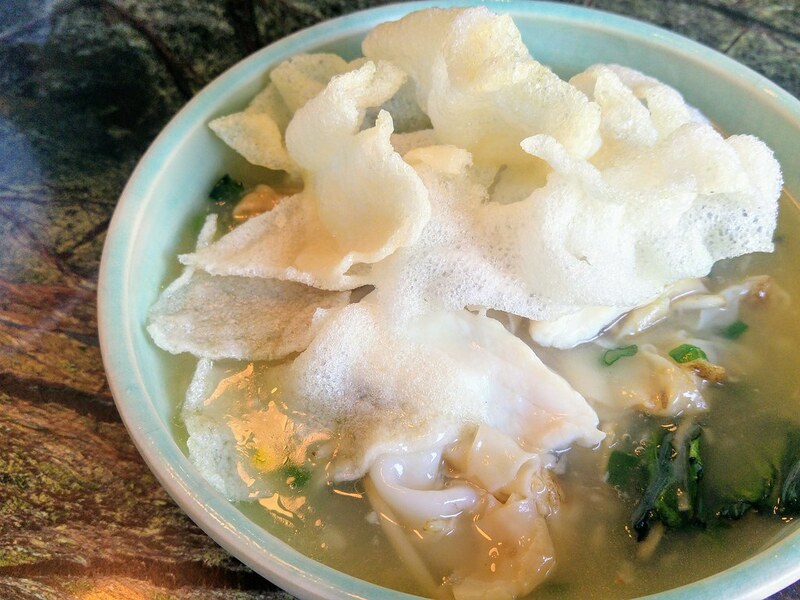 Presentations may have changed but the essence of Cantonese food is pretty much still there. It reminds me a lot of the Asian fusion restaurants and bars that I patronised in Melbourne, which imbue a strong underground vibe within. Perhaps, Full of Luck Club could be slightly naughtier to fully stand out among the Chinese restaurants that dominate the area.